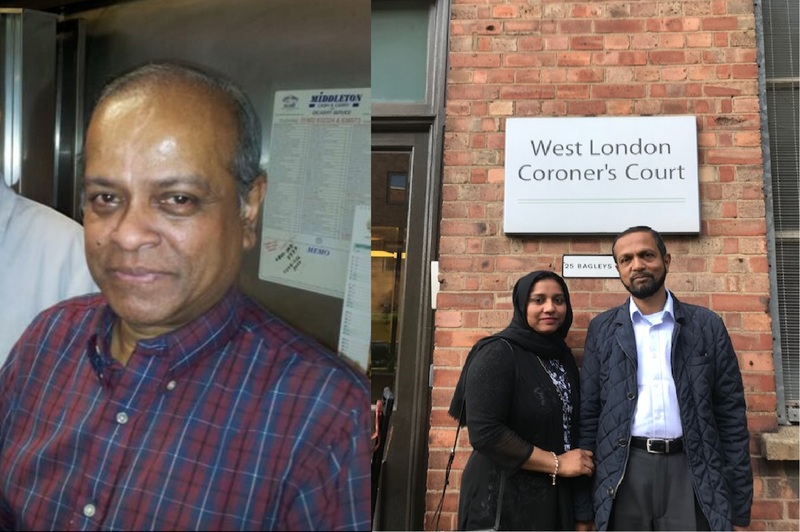 The inquest into the death of Tarek Chowdhury, 64, concluded yesterday, with the jury finding that failings in the immigration detention system contributed to the killing. Mr Chowdhury was unlawfully killed by Zana Yusuf Ahmed, though the jury found that Mr Ahmed was inappropriately placed in the immigration detention estate. On 21 September 2016, the Home Office risked assessed Mr Ahmed as inappropriate for transfer to an immigration removal centre (‘IRC’) due to his violent behaviour. He therefore remained in the prison estate. Mr Ahmed was not due to be assessed for potential transfer for another four months, but approximately three weeks later, on 10 October 2016, his transfer to an IRC was considered suitable. The Home Office disclosed evidence during the inquest that this was merely to assist with the reduction of foreign national offenders within the prison estate. It was accepted by the Home Office that Mr Ahmed should never have been transferred on consideration of his violent custodial behaviour – particularly as the day before he was transferred, he had attacked another prison with a table leg. Alongside the failure to properly assess Mr Ahmed’s mental health and risk of violence, the jury found that there was an absence of an appropriate system to share information about his risk of violence, which caused and contributed to Mr Chowdhury’s death. They also found that there were failures to share information about his mental health, and inappropriate staffing and handover arrangements between the night and morning of the killing, which may have contributed to Mr Chowdhury’s death. The jury heard evidence that Mr Chowdhury was suitable for an interview for administrative removal without being detained, but that he was held in an IRC due to an error by the Home Office. Legal representatives: Nick Armstrong of Matrix Chambers and Bharine Kalsi.